Yahoo! will launched their personalized digital newstand product in the fall according to reports. Livestand will come equipped with a variety of titles including big box titles such as Forbes and smaller specialty titles in a variety of niches. 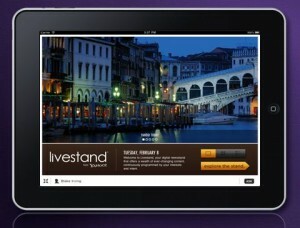 Livestand is being built using HTML5, a feature Yahoo has recently experimented with on the Yahoo! mail website. The announcement to release what the company hopes will be a breakthrough offering comes directly after CEO Carol Bartz was fired from the company and board directors promised to reinvent the company with more technology and better content offerings. 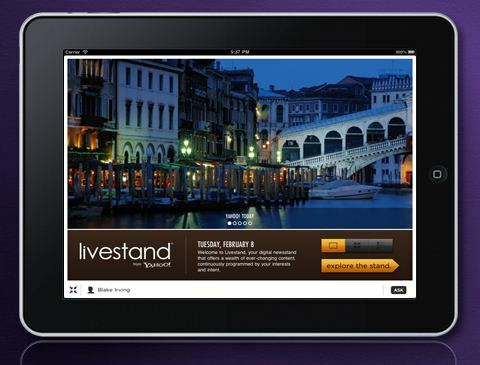 According to various sources the company plans to make the Livestand advertising platform easy to use as they attempt to compete with Google and the new deal struck between AOL and Microsoft.One thing is for certain this won’t be an easy battle for Yahoo! who will come to the personalized tablet publishing market far behind the lives of AOL Editions, Flipboard and Pulse to name just a few. Will you be giving Yahoo! Livestand a test drive when it arrives?